The Fiat 124 Spider was built by Fiat from 1966 to 1982 and later manufactured by legendary design house Pininfarina from 1983-85. Fix It Again Tony jokes aside - the Spider was a beatiful classic 2+2 seat rear wheel drive roadster from Italy and is a motoring icon today. 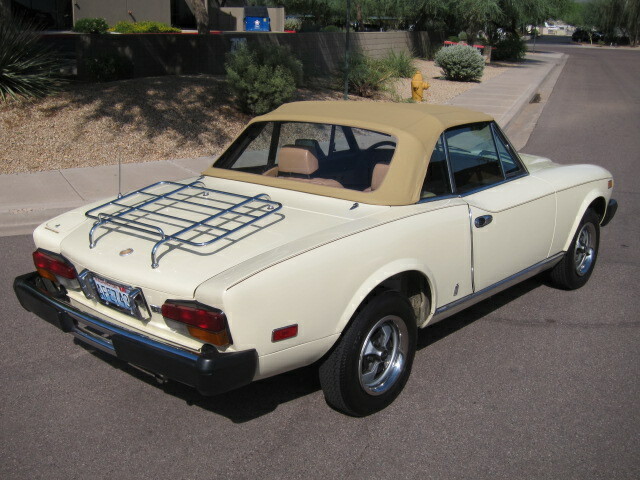 This minty clean 1979 Fiat 2000 Spider is a claimed 1 owner car and is for sale in Paradise Valley, AZ bidding on ebay for $6200 reserve not met with less than a day to go. 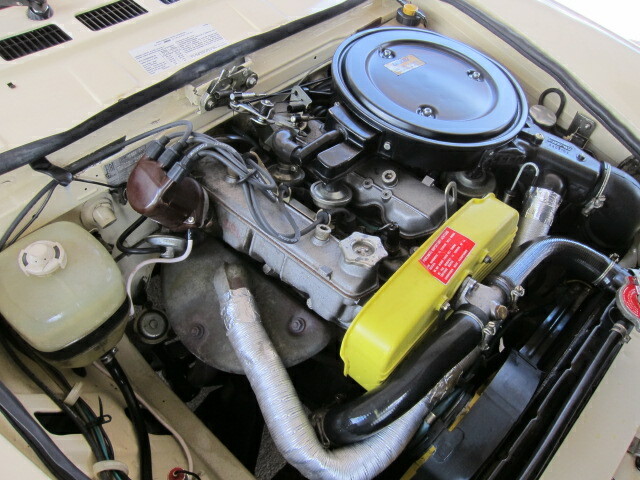 The Fiat 124 started life as a lithe clean chrome bumper-ed runabout but was slowly smog choked and rubber bumperized starting in the early '70s, and finally badged as the Fiat 2000 after 1979. It managed to maintain more of its original charm and grace compared to an MGB as the 5 mile per hour bumpers started to ruin cars under the guise of safety and consumer protection. This 2000 Spider is powered by a 2 liter inline 4 equipped with a carburetor and making a wheezy 77 horsepower mated to a 5 speed manual transmission. The engine bay looks clean, but we hope that there are no expensive Italian surprises lurking under all that Armor-All as parts for these cars can be expensive and hard to find. 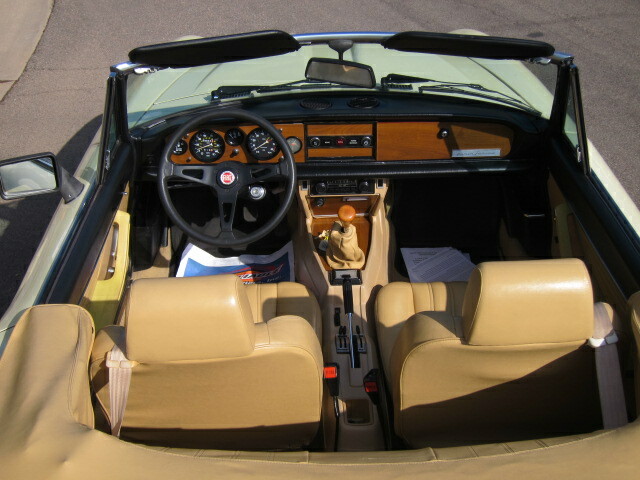 The seller claims only 49k original miles on this Spider and we'd believe it based on the condition of the interior - we have to assume those miles weren't done in Arizona summer because the seats and dash look perfect. The market for Fiat Spiders isn't exactly hopping like short wheel base 911s, but we would expect a car that is this clean to go for a bit more than it is currently bidding. Lets hope the reserve is low and somebody will get a great deal on an original classic. As much as we'd be tempted to remove those hideous rubber bumpers and replace them with earlier chrome pieces, it'd lessen some of the originality of this car...but if it was our car we'd do it. As noted, '79 isn't exactly the year to get. And considering it's being flipped by a dealer, the reserve is unlikely to be reasonable. Despite the minty clean appearance, I'd want to hold out for a better year, and ideally, a private sale. 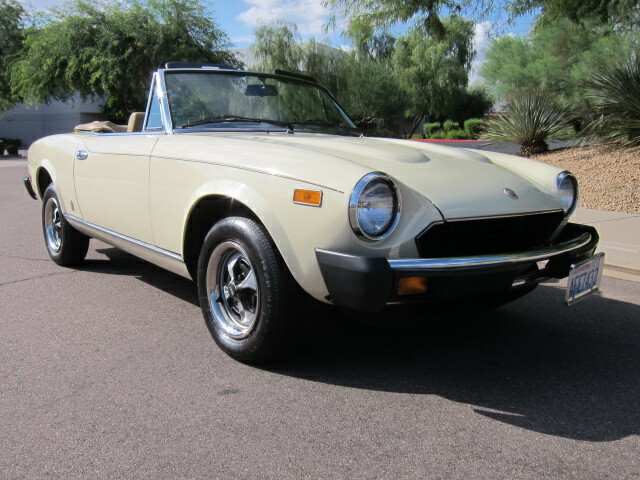 ~ of all the many cars i have advertised and sold NONE got as much interest as the Fiat Spider i sold through the classifieds 15 or 20 years ago i felt like i had left a mountain of cash in the buyer's pocket when it rolled down the street and the phone rang again and again.